Caustic oven gel for exceptional degreasing. 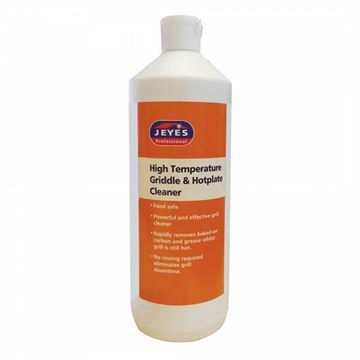 Dissolves grease and removes burnt on carbon deposits easily, for the deep cleaning and degreasing of larger ovens, ranges, grills and griddles. Food safe, powerful and effective grill cleaner. Rapidly removes baked-on carbon and grease whilst grill is still hot, no rinsing required, eliminates grill downtime. 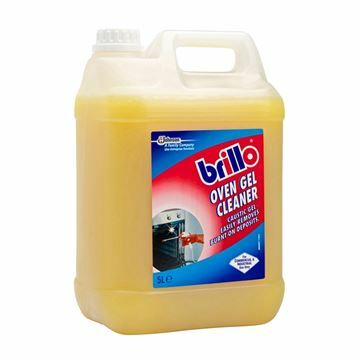 For cleaning commercial ovens, grills and barbeques. Used by many professionals for its speed and effectiveness. 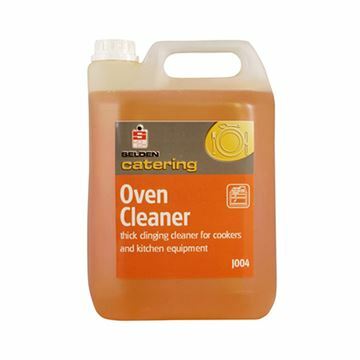 Removes baked on blood and food residues from ovens and grills. Do not use on aluminium or galvanised metal. Clings to vertical surfaces. Easily applied using trigger spray. Effective ready to use formula. Removes baked on fat and shortenings from ovens and kitchen ranges. Powerful chemical action dissolves fat blockages in drains and grease traps. Ideal food plant cleaner for manual and circulation cleaning.